As a wife and mom to two boys, Jenifer has kept her love of travel alive with exciting family trips. I love road trips! So, when we decided to take a trip to the the East Coast, we thought a New England Road Trip would be a great way to sample all that the area has to offer. The only issue was, how to get the kids to be happy in a car. That's a tall order for kids that say "Are we there yet?" after 30 minutes across town. To get started, we flew from Los Angeles to Providence, Rhode Island. After a quick jaunt to Block Island, we rented a car to go up through Maine as far north as Quebec City and Montreal before heading back down through Vermont. 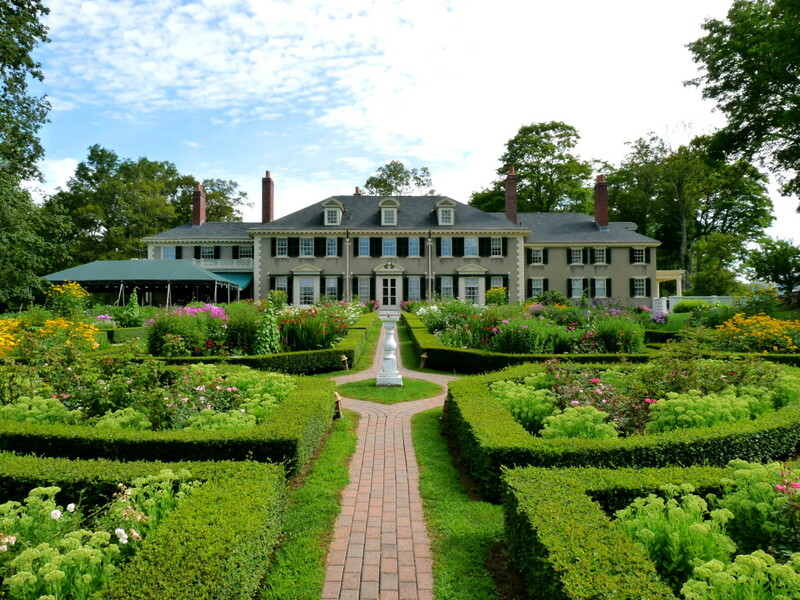 Now that we returned, I'm sharing the ultimate New England road trip itinerary for families. In case you have any interest in doing the same, here are a few short tips before you get started. 1. Take into account your audience and plan to see/do things that keep everyone interested. In our case, parents and two boys - 15 and 11 years old. I know this is an obvious tip but in my case, I had to remember to do things I wanted to do, instead of just focusing on what made everyone else happy. 2. Plan a driving route that you can manage. I planned almost every drive to be between 1-3 hours. Knowing that was my parameter, I looked for things to do or places to stop that fit within those guidelines. 3. 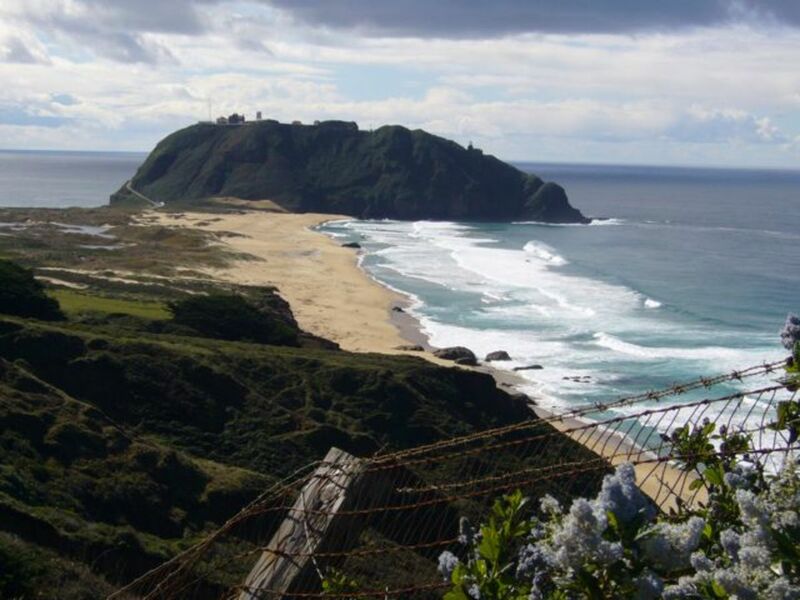 Great activities are the key to happy travelers. Since we have boys, we planned active pursuits like rock climbing and river rafting. See below for all the fun things we did on our New England road trip. 4. 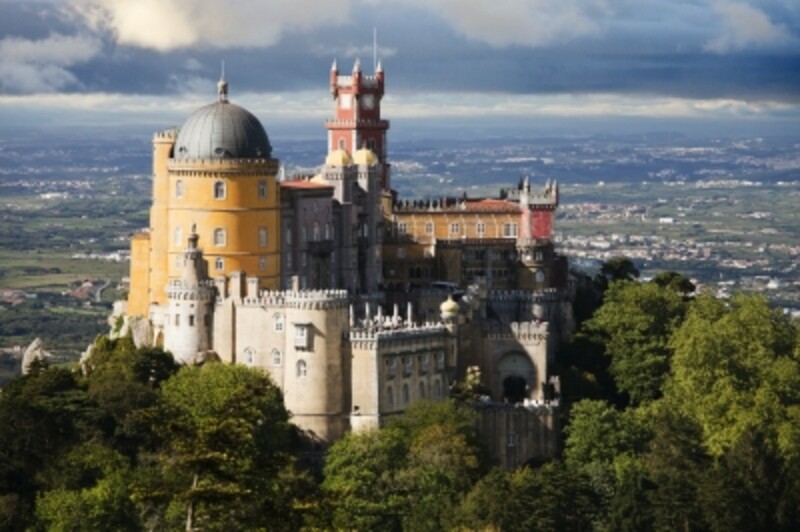 Fly into a city that has cheap flights, great rental car deals AND good hotel prices. It's important to look at all three variables. For this trip, we had a choice of multiple airports. With respect to the car, I was looking for a great deal on a small SUV since we would be in the car for so many days. Providence had great hotel deals by the airport, which we needed because the flight we wanted landed at 11:30pm. 5. Bring books on tape. I have never enjoyed being in a car so much! The best part was we took one of my son's required summer reading books and killed two birds with one stone. You can download the first digital book for free on audible.com with a trial membership. States Visited: Rhode Island, New Hampshire, Maine, and Vermont. Also Quebec and Montreal. What wasn't included: We had already done other trips with the kids to some New England States - Boston and Cape Cod in Massachusetts, Connecticut and New York. Since it was a summer road trip instead of a fall foliage trip, we skipped the Kancamagus Highway and Litchfield Hills. Some friends happened to be staying on Block Island at the same time we arrived in Providence. It's an easy trip on the fast ferry from Pt. 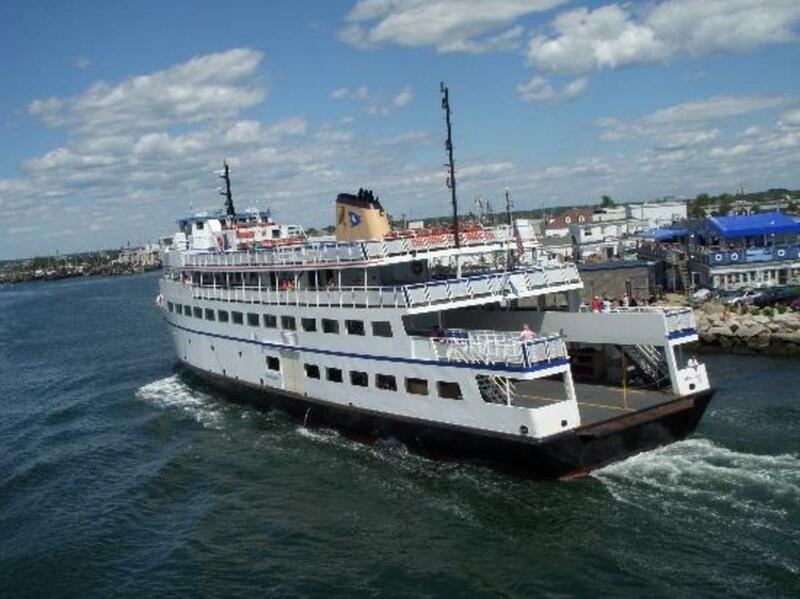 Judith to Block Island. We spent a few days sailing, swimming and cruising around the island. Drove 2.5 hours at the end of day 2 and stayed overnight in Portsmouth, New Hampshire. Kennebunkport in the morning was just a quick stop. 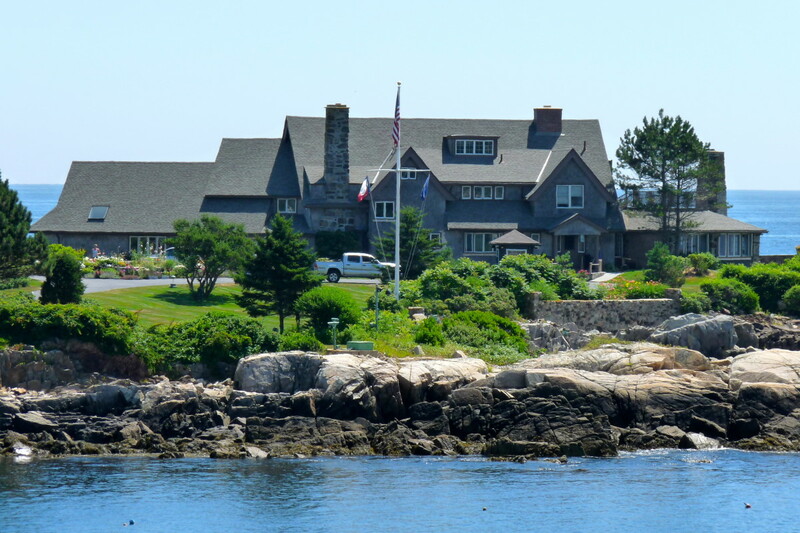 The highlight here is the beach, but being Californians, we get plenty of beach time, so we snapped some quick photos of the Bush Compound and drove to Portland. 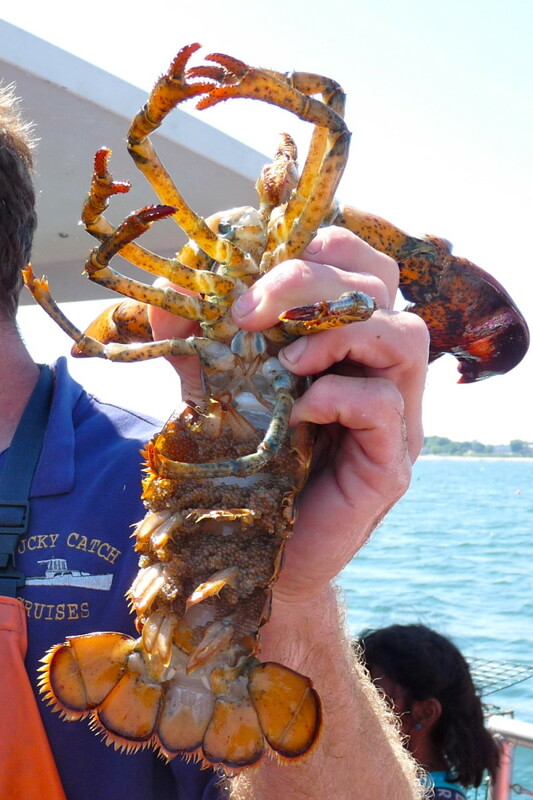 My goal was to do something fun for the kids on this day so we hopped aboard the Lucky Catch Cruise to learn about lobstering which was terrific! 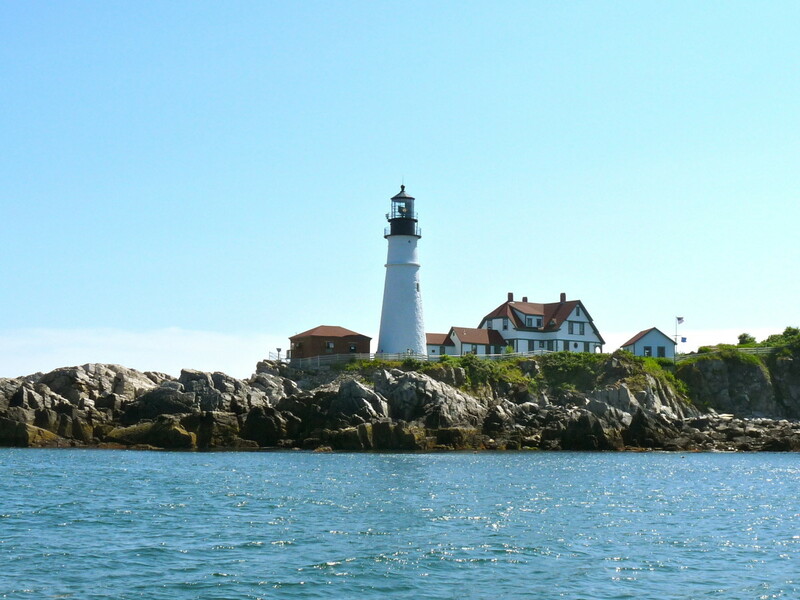 Not only were were able to learn everything there is to know about catching lobsters, we were able to enjoy an extraordinarily beautiful day on the Casco Bay and see four light houses including the famous Portland Head Light. 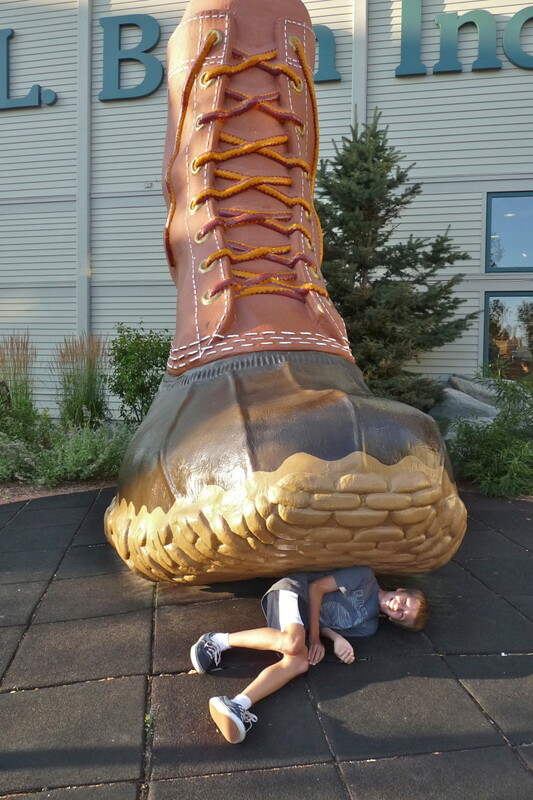 In the late afternoon, we headed to the LL Bean Flagship Store in Freeport. The store was fun to see because of the interesting displays and it's sheer size. Ending the day, we stumbled upon the Harraseeket Lunch & Lobster Company and their long line. I'm not a lobster roll person but this place is a famous New England food establishment and has the atmosphere of a real honest-to-goodness lobster pound. Getting up to Mount Desert Island was a 2.5 hour drive so we decided to make the most of it by taking the coastal route and stopping to eat breakfast in picturesque Camden. 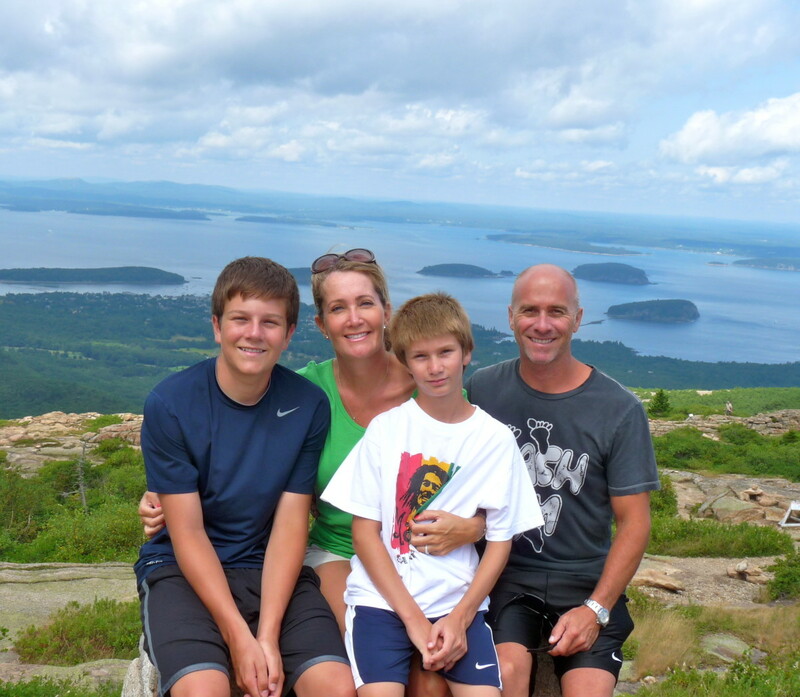 Although it's one of the prettiest coastal towns that is a highlight for many people visiting Maine, it didn't feel like the place to stick around with teen boys. 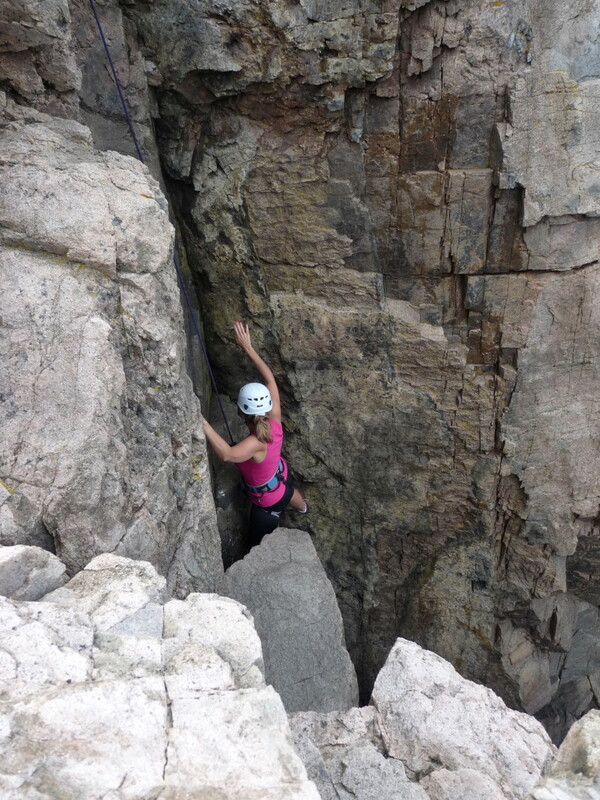 So we headed straight to Bar Harbor for an afternoon of rock climbing. I was personally the most worried about this part of the trip since I had never scaled any large boulders and my upper body strength is less than impressive. All my fears went away within the first half hour when our fantastic guide, Ryan from Atlantic Climbing School made us feel very reassured. They have a family climb that was perfect for us all. It was such a phenomenal day!! Thankfully the weather held up and we were able to enjoy the the jagged coastline of Acadia National Park. My husband felt like he found a new sport and my 15 year old was beyond enthusiastic. I highly recommend adding this to your bucket list! Sunrise at Cadillac Mountain is supposed to be the thing to do in Acadia National Park, however the weather has to cooperate. It was rainy for sunrise but we got lucky that it cleared up before noon so we were able to enjoy the spectacular vistas. This area is great for kids too because the mountain is very gently sloping and they can run all over. Stopping at Jordan Pond House on the park loop road is a must! 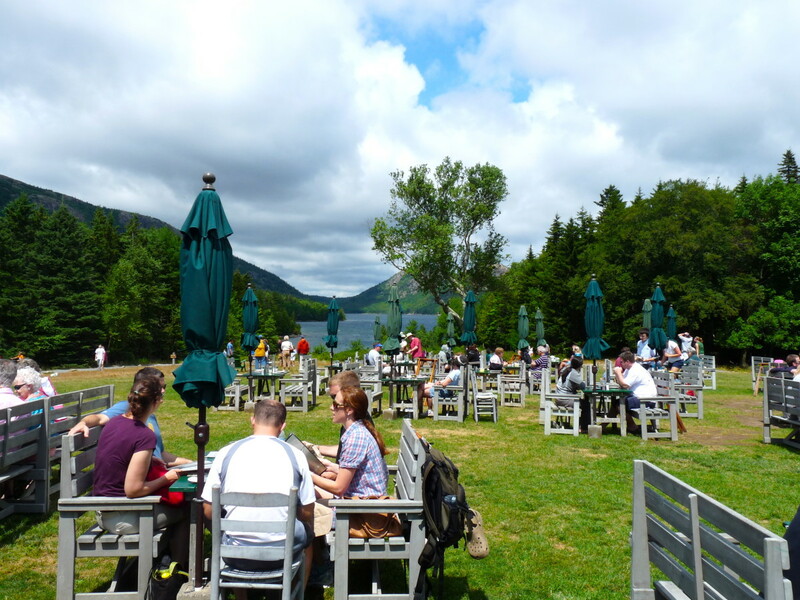 They have delicious popovers and a beautiful setting outside on the lawn overlooking a very scenic lake with small Maine wild blueberries growing everywhere. In the late afternoon, we headed inland though all the small bucolic Maine villages. It's a beautiful drive that lets you imagine living in small town, USA. Our stop for the evening was Crab Apple Whitewater Lodge. The hotel was definitely rustic but clean and comfortable. The staff is very friendly and pointed out a terrific hike to Moxie Falls, which we did right after we dropped our bags in the room. This part of Maine just feels good - like a great adventure with great people awaits. And it does. White water rafting bliss!!! The Crab Apple guides take you to the bottom of the Harris Station Dam where the daily water release provides a consistently thrilling ride on the Kennebec River. We all had smiles plastered on our faces for a full hour of non-stop action. The second half of the trip was floating down a calmer part of the river and just enjoying our magnificent surroundings on a perfect sun filled day. At the end of the rafting, the Crab Apple team made a great barbecue lunch followed by a highlight reel of the trip, which we were able to purchase and take home. The next drive led us across the Canadian border and what felt like a throw back in time, to the walled city of Vieux Quebec. 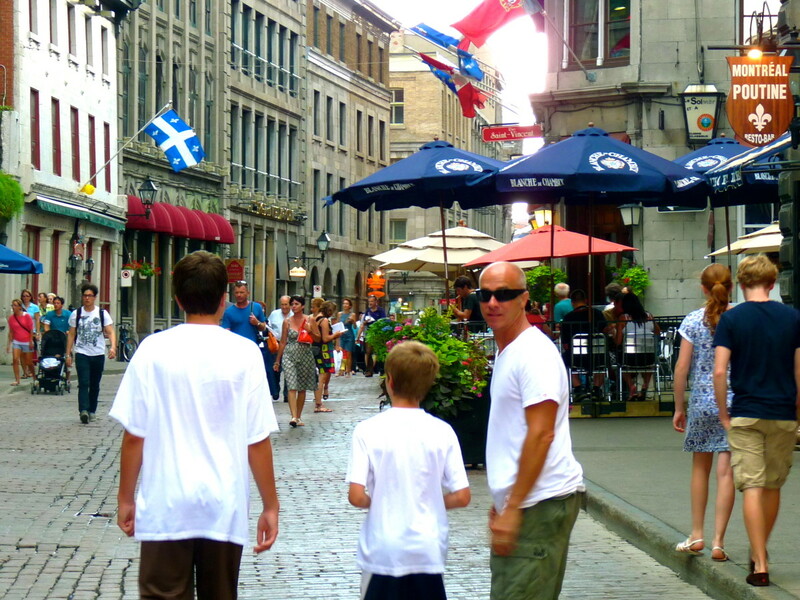 More like Europe than Canada, Quebec City has a charm to it that makes you feel like you could amble around the streets and sit in sidewalk cafes for hours. Unfortunately for us, we were only here for one day but had enough time to eat delicious food, see some of the more the more touristy sights and stay at a quaint little hotel that I highly recommend called Hotel Port-Royal Suites. I haven't recommended any hotels in this article because most, although nice, were not stand outs. This hotel was very well located with charming rooms and a great staff. We had to work one long drive into our East Coast road trip route in order to get to Vermont. To make it a little better, we had a pit stop for late lunch in Montreal. There are supposed to be many interesting things to do in Montreal but we didn't get a chance to do much because there was a huge downpour which started after being there for only one hour. We ate and headed straight for Burlington, which was our starting point for the next day. The educational working farm at Shelburne Farms is something I would have definitely planned to see if my children were younger. So it was with trepidation that we ventured 15 minutes south of Burlington to see chickens, cows and cheese making. Happily, our whole crew enjoyed this excursion. 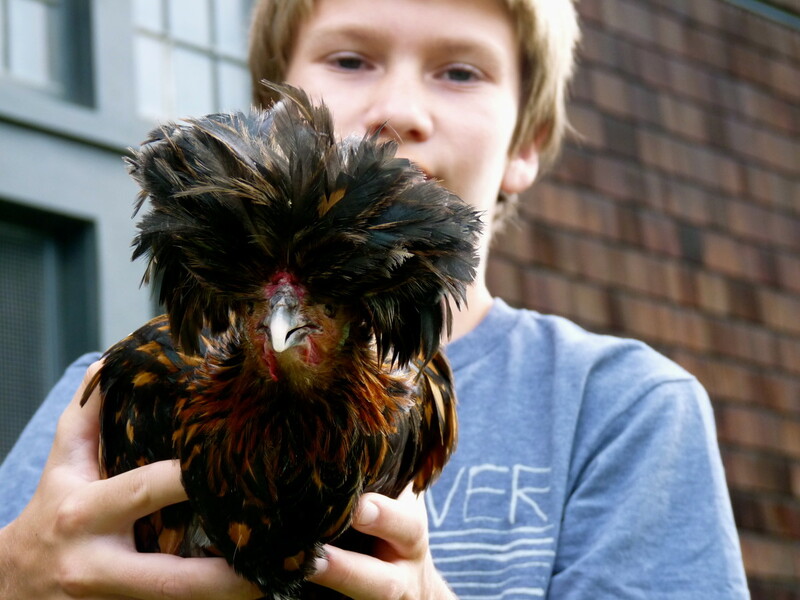 It's hard not to enjoy a chicken parade when you get to run around and pick them up. My 11 year old feels that milking a cow was a highlight of the whole trip. From there we went to the Ben & Jerry's factory tour on scenic Route 100 and enjoyed our free sample of Late Night Snack. Then on to Southern Vermont where we luckily stumbled upon Dorset Quarry. 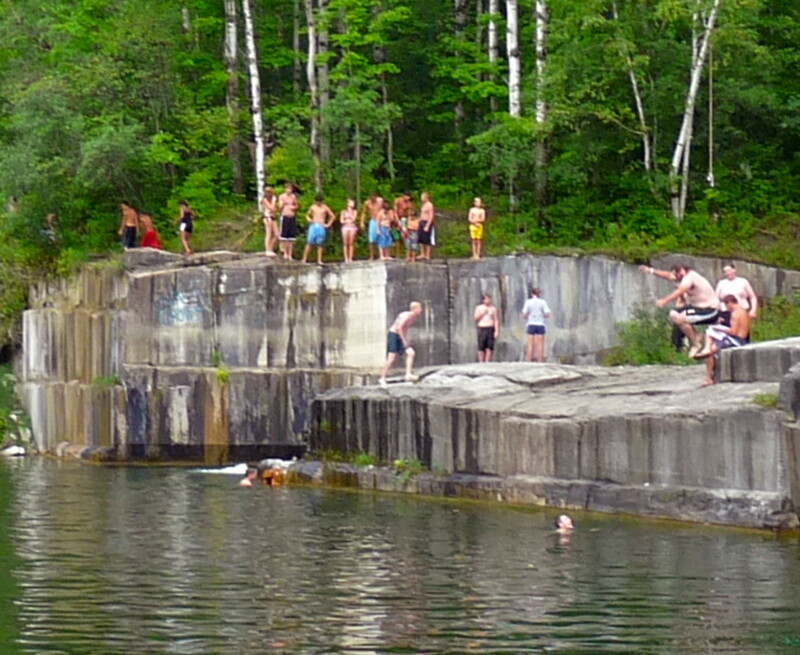 My husband and sons relished the idea of jumping off marble cliffs into the water at this historic quarry. I found a video on You Tube that I posted below. Lots of free fun!!! We spent the night at a bed and breakfast which was too dated for my taste but it did allow us time enjoy the sweeping vistas of the Green Mountains. I kept thinking about the movie Baby Boom with Diane Keaton the whole time we were here. Feeling like we needed a little culture in the midst of all this fun, we decided to go on a tour of Hildene, the summer home of Robert Todd Lincoln. It was enjoyable to see some of the Abe Lincoln artifacts as well meeting the docents who lovingly share the memories of the Lincoln family. We had one last long drive back to Providence and broke it up with a trip to Bromley Mountain Resort in Peru, Vermont. 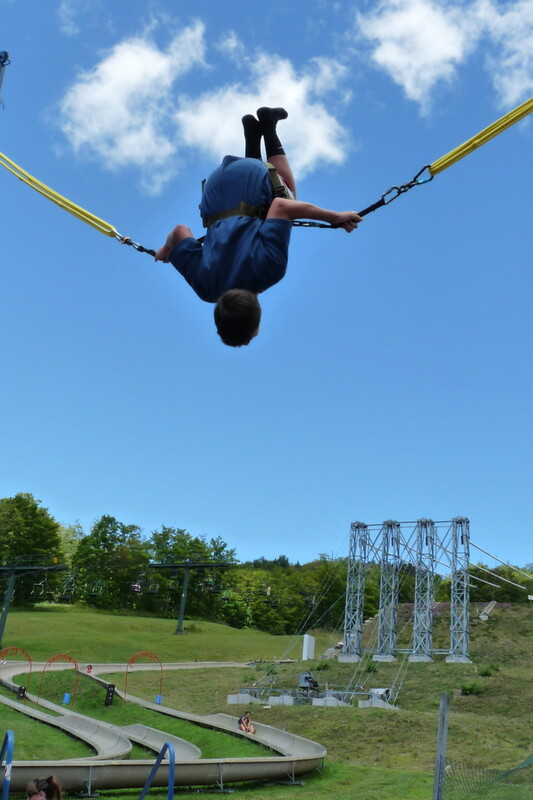 Many of the ski resorts in Vermont have terrific summer activities like alpine slides and zip lines. My heart was racing as I sped 40 miles an hour down the mountain on a zip line followed by my 15 year old and husband. It was so much fun! Our last hurrah before heading back to Providence. The trip was a blast. My fears about spending hours upon hours in the car with fighting kids were unwarranted. I know all of us will always have fond memories of this trip and the time we spent together. So glad you like the information. The rafting was awesome and the company I shared did such a great job!! I have a blog now, theevolista.com with lots of trip information that your teens would also love like Alaska. You can also find me on Instagram by the same name. Thanks so much for posting this family trip. I'm planning a similar trip with my teens and have had a hard time finding out about activities that would be interesting to us. 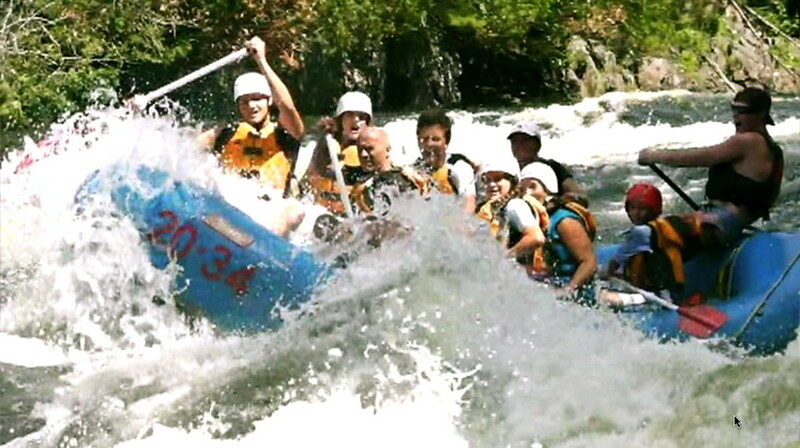 We definitely love rafting, so that is a great idea. chasing riley, I'm hoping to get it done soon! Thanks for reading the first two parts. I'm glad you were able to relate! Loretta - We loved Block Island! It's such a special place. I just had my 15 year old read your skunk hub and he loved it. Thanks for stopping by and commenting! Thank you for your kind words regarding my skunk problem! 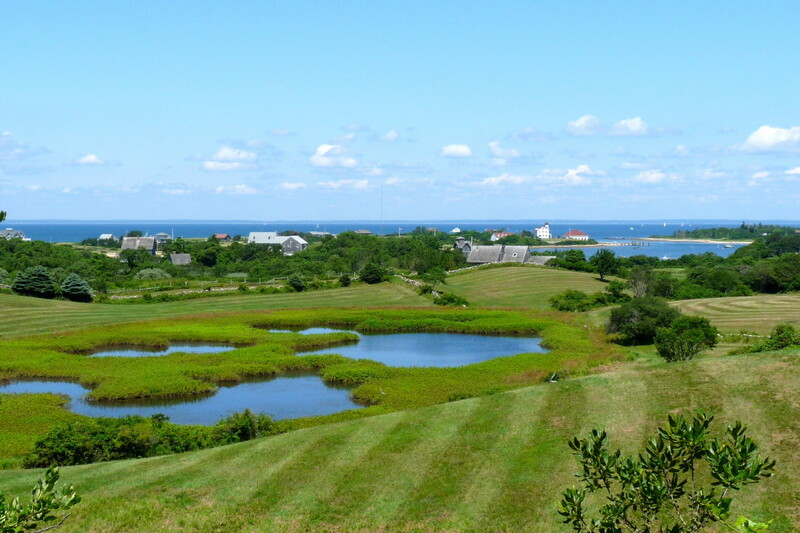 I'm enjoying your hubs as well and I try to spend 1 week every August on Block Island. I love it! 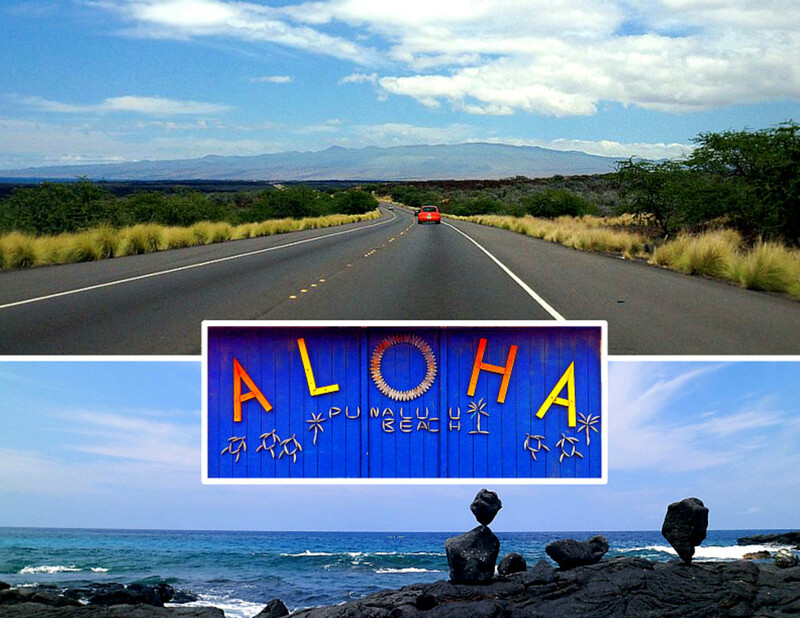 Have not been to your other mentioned destinations...yet. Sounds like fun! Jen....Well done. "Impressive....most impressive". :) Pictures along with your description make it personal and interesting. Thanks Danette! I completely agree that experiences are better than things. They last forever in your mind (and photos). Thanks for reading! Nice hub! 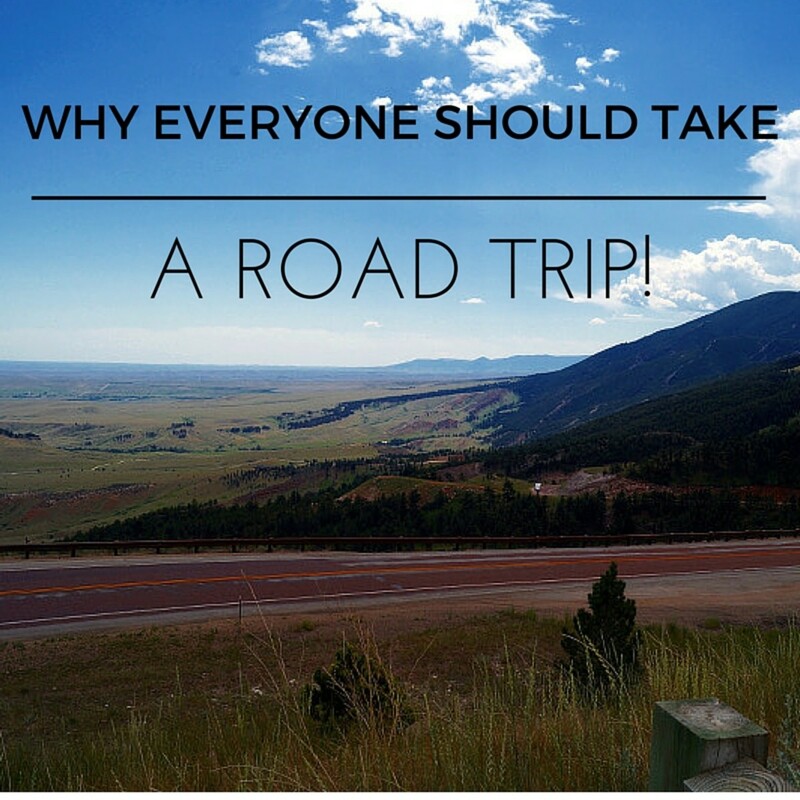 I love road trips and this sounds like it was a great experience for you all. I always tried to emphasize to my kids that experiences are so much better than things. Stuff breaks or gets lost but we always have the memory of our experience. Voted up! Ya. I've been slow going on writing those, but, needless to say, the reason for the title will be revealed by the end! Thanks for your reads! Thanks Susan! It was a great trip! I love road trips too. My dad was a professional musician when I was growing up and we traveled with him in the summer. We became road warriors. I'm working on a story about my first cross country road trip by myself. It's called A Case Mistaken Identity. It's on my Hub, at least the first two parts. Thanks for sharing your advice and wisdom! Babs, that's a huge compliment coming from you with all of the great trips that you take! randomcreative - Thanks for your feedback. 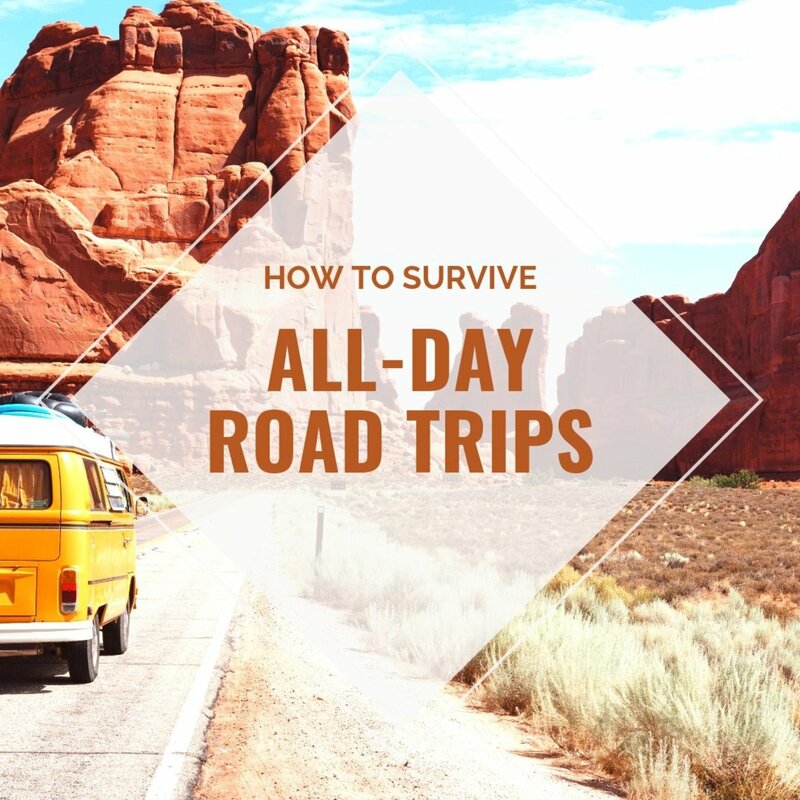 A road trip is definitely a great way to spend time with your kids especially when they are growing up and hanging out with their friends more than you. ktrapp - I agree, the East Coast rocks! So many amazing, fun things to do there. We went to Massachusetts on two previous trips and had a wonderful time. I've only spent a little time in Connecticut but would love to see more! Great hub! I love your tips. I agree that adding personal photos adds a special touch to hubs. Thanks for sharing your journey with us. I took a few road trips with my family growing up and hope to take some with my own kids someday, too. Great hub! Personal photos adds a touch that generic photos can't offer!